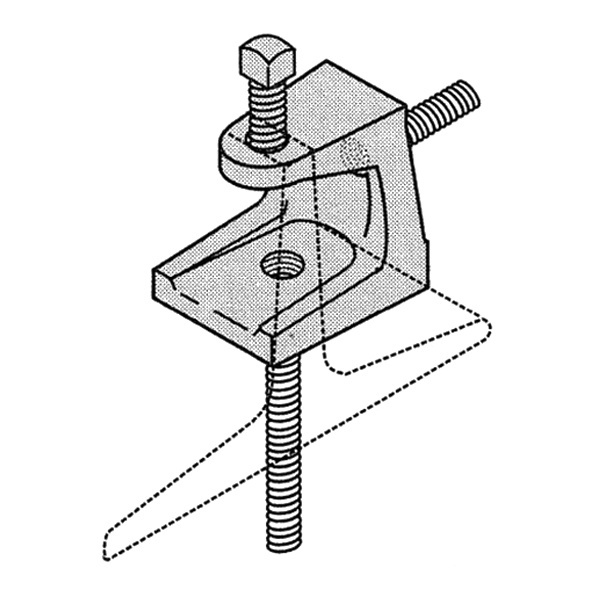 Versabar Beam clamp has malleable iron construction. Beam clamp has trade size of 1/2-Inch, flange thickness of 3/4-Inch and rod size of 1/2-Inch. It withstands load capacity of 400 lb. Beam clamp has threaded base.